We grow a range of soft fruit including Strawberries, Raspberries, Blackcurrants, Redcurrants and Gooseberries. Strawberries often start around Wimbledon week and last approximately six weeks. Gooseberries start a little earlier and raspberries and currants a little later but each year is different, depending on the weather. Please check the list below (during the season) for the latest updates. During peak season we sell Longley Farm cream, locally produced ice cream and honey, and our regular supply of fresh eggs. 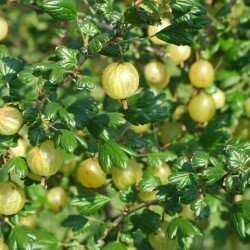 Gooseberries season starts mid to late June. Details will be posted here as soon as we know. 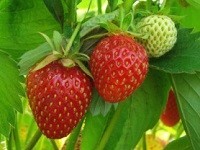 Strawberry season starts mid to late June. Details will be posted here as soon as we know. Raspberries season starts late June to early July. Details will be posted here as soon as we know. 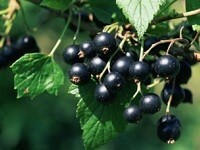 Blackcurrants season starts mid July. Details will be posted here as soon as we know. 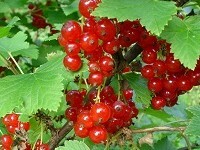 Redcurrants season starts mid July. Details will be posted here as soon as we know. TOP TIP: For the best tasting fruit, pick it ripe. Most fruit you buy pre-picked is harvested just before it’s ready so it will last longer in the shop. Picking your own means you are in control of quality and can pick fruit which has fully ripened on the plant. This allows the natural sugars to develop, which improves the flavour. The availability of different fruits will vary so please check the list above to see if your chosen fruit can be picked today. The information provided is updated regularly throughout the picking season. Containers are provided with a bag to take away but you can bring your own tub if you prefer. 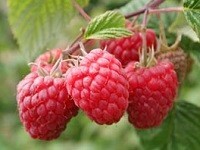 Look round before starting to pick as the best fruit is often further away and many pickers start at the nearest point. The availability of fruit is not guaranteed, this can vary according to the time of season, time of day, weather and number of customers. Please check we are open before you travel.